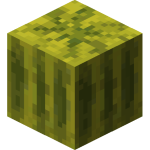 Pumpkins will have a central stem that slowly grows until it reaches its maximum size, at which point the pumpkin will randomly spawn a fruit next to it if a Farmland block is adjacent, and if there is air above the stem. Pumpkin stems take around 10 to 30 minutes to fully develop. Pumpkins will revert the farmland to dirt when it grows. Pumpkin stems will only grow a single Pumpkin each, and Pumpkins that grow adjacent to a fully developed stem will cause that stem to connect to it. 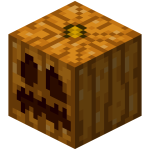 Bonemeal will cause a pumpkin stem to produce a pumpkin immediately provided there is an empty farmland block to place the pumpkin in. 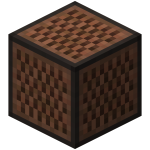 All Farmland and seed blocks will become hydrated using the above methods. Wheat could be grown in the spaces marked ‘X’ to avoid wasting potential hydrated farmland blocks. These methods are equally efficient at 44.44%. 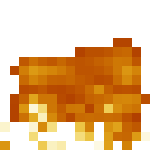 The highest efficiency a pumpkin farm could reach is 50%, because it takes two blocks to farm one pumpkin. 50% efficiency could be met by eliminating the row with the water, but the pumpkins would grow much more slowly. 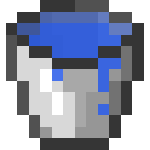 You are currently browsing the Block category at minecraft.